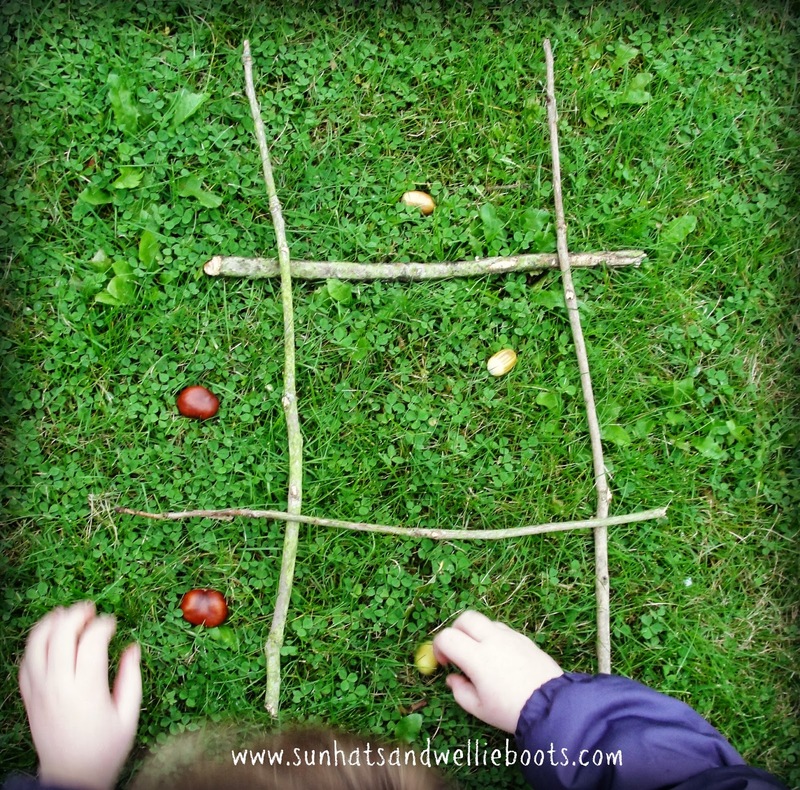 Anyone fancy a game of Autumn Tic-Tac-Toe? All you need are a few Autumn finds & you're all set. We used conkers & acorns, but pine cones, leaves, & any other autumnal goodies would work just as well. Minnie gathered four sticks to make the frame & we were ready! What's good is that if you've made this game while out somewhere, you can gather up everything & bring it back home to play with again! 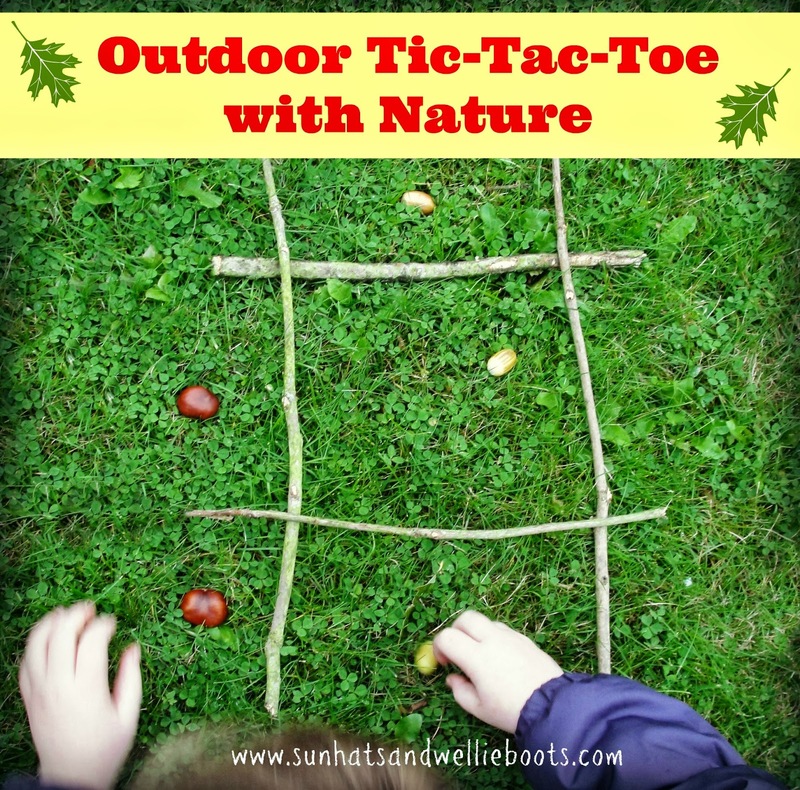 A super simple activity which can encourage turn taking, making predictions, exploring patterns, & an appreciation of nature. If children are collecting the items for the game it's also a neat way to encourage sorting & counting skills. I wonder what nature finds we'll add next time? Looking for more simple play ideas with sticks? Why not check out our Land Art, Nature Wands, & Hedgehog House.